It is very exciting with a Norwegian speaker producer that has managed to take the step out to Europe, and that also has achieved a certain level of success – and several good reviews in international magazines. This time on the other hand, Stereo+ is first out. We shall see if the rest of the world agrees. The frame is the same as with the other speakers from Arendal Sound. An elaborate cabinet construction, the same tweeter solution as they have used with great results in all their other speakers and a very heavy midrange/bass-driver. For being a bookshelf speaker they are pretty big boned. It has the same thick front baffle as Monitor, and the cabinet feels solid and sturdy. I think there are barely any speaker in this price range that is built similarly. So the question is if this is a bookshelf speaker. The answer is mnyeaa, where i drag the a. It is apparent quite early that despite the name, they are best suited on a stand, but you can still put them on a shelf or table of sorts. But if your only option is to place them on the wall you may as well buy something cheaper. You will almost certainly not get great sound no matter which passive speaker you choose. There are some active speakers with compensation for placement as for example KEF LS50 Wireless, but that is talking about something completely different. The owner of Arendal Sound, Jan Ove Lassesen, says the new speaker Bookshelf S perhaps is the most precise and accurate he has been apart of making. We will see if it is correct, but never the less you have to treat them right. The speaker has the normal array of drivers. A tweeter sitting in a big and characteristic waveguide, which also act as a short horn. The woofer is a 6,5 inch with a very solid, casted chassis and a gigantic magnet. On the backside of the speaker you will find a couple of impressive speaker terminals that handle plugs, spades or if you are one of those liking Biltema’s (Norways equivalent of your local cheap car/electronic shop) 4mm2 speaker cable without any plug at the end, you can make that one fit also. The cabinet is mentioned, but as usual we do a knocking test to listen for resonances and box-sound. The result is zero. HDF (high density fiberboard) makes this a very dead and well damped set of speakers. There is a lot going for this speaker, but obviously it does not play deep into the bass registers, and it can not compare with the efficiency of the floorstanding Arendal Sound speakers. So basically it has the same built-in challenges as basically all placement friendly small speakers. There is one thing to be said about the lack of deep bass, and that is that the speaker doesn’t necessarily sound thin and light-weighted. Even if you lack the weight of a hefty 12-inch or an array of 8-incher’s like the biggest Arendal Sound speaker, it sounds pretty rich and with useable weight. No direct compromises here, then. I have already mentioned the need for a pair of stands, but that will not automatically give you great sound. The speakers needs some air around them, but at the same time they should not be placed to far from the back wall. That is at least my experience after a few days with the speaker. It also separates well between different amplifiers, but sounds fantastic together with a Marantz PM8006. Then we are talking about a set that together with a decent source, in this case a Bluesound Node2i, that ticks in at just above 30.000 kroner (around 3.000 Eur). You can make many much worse hifi-purchases at that price, and to be honest you may not get much better sound if you add another 10 thousand+ (1.000+ Eur). In addition to needing some air around them I chose to angle them slightly towards listening position (toe-in). In Arendal Sounds listening room they were placed more straight, which was quite fine. It also worked fine in my home. Still I got an even better focus and room when angling the speaker inwards something like 5-6 degrees. From being less precise in the midrange, the balance between bass and midrange and in focus and room definition, all it took was some moving back and forth before they really played music. Quite literally. For such a small speaker to have the ability for such dynamics, without being super efficient – and horn-loaded, is surprising. Despite a very engaging and living soundstage we are not talking about a speaker with sharp edges. There is a lot of energy in the tweeter and upper midrange, and it literally parks a lot of the speakers in this range in terms of dynamic ability and freshness. Yet it sounds natural in the sense that it sounds like the sound I hear when attending a concert, or when I am playing around with a guitar or synth. Therefore I found it only natural to test it as a studio monitor, and despite being passive it is actually brilliant as a studio monitor. It has good balance, and a soundstage with high precision. A lot of what is needed when control-listening music for recording purposes. Perhaps this is a market that Arendal Sound should explore. Perhaps also put some resources into making an active model? With normal music the speakers show great versatility, and I think I agree with Jan Ove Lassesen of Arendal Sound that these are the most precise and accurate speakers they have created – ever. That is saying something, because the more or less double sized Monitor S are not bad at all either. Sometimes a slightly slimmer bass makes the lower midrange shine even better, and that may be some of the reason here. Still I think there is an even better interaction between tweeter and midrange, and a precision in the mid-bass that is the best from Arendal so far. It is well revealed on music like Diana Krall’s The Girl in the other Room. Where I honestly am wondering what is happening when I hear the opening of the song. The instruments are very believable, natural sounding and are delivered with complete calmness. When Krall’s voice enters I can only give in. This is simply fabulous. There is unusually little restraint in the sound, and everything lets go of the speaker with an unusual ease. Good times! 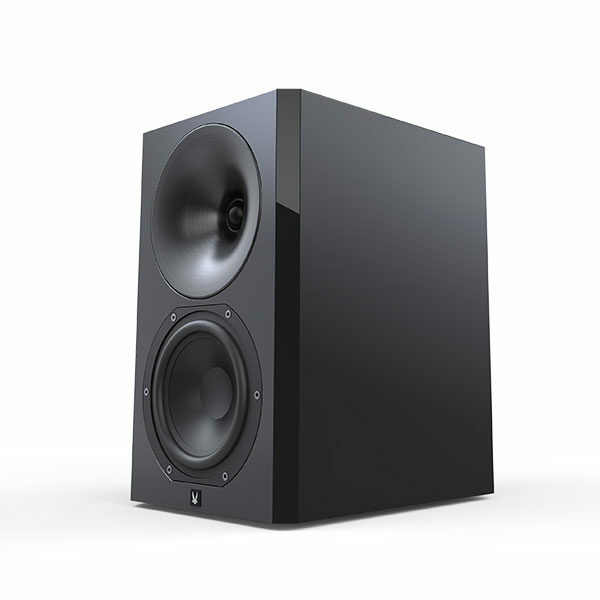 What the speaker somewhat lacks is weight, but no other bookshelf speaker in the price range has it either. Most speakers at this size need some help. I therefore hooked up a subwoofer to test it out, and although it is not really big or expensive it worked above all expectations. Despite the subwoofer being adjusted to play so low that it barely gave any addition in the deep end, the soundstage completely changed. It became larger, more powerful and heavier, and was at once ready for new challenges like heavy electronica and movies. Even if I think this is a very good speaker it is not without its competition. Focal Aria 906, Vienna Acoustics Haydn, Bowers & Wilkins 706 S2 or the “original” KEF LS50 or PMC Monitor DB1 Gold, just to mention some of the competitors, all have their own qualities and characteristics that surpass Arendal Sound Bookshelf S on some points. For example there is no one in the price range that can match the focus and perspective of KEF LS50, or the musical magic from PMC Monitor DB1. So it boils down to what you like, how you appreciate the different characteristics and what kind of amplifier and equipment you have. Yet I still hold Arendal Sound Bookshelf S as one of the most complete and versatile speakers in the price range. If you on the other hand go up a price range to between 18.000 and 20.000 Kroner (1800-2000 Eur), to for example KEF R3, or Sonus Faber Sonetto 2, which both are tested in this edition of Stereo+, the music is played very convincingly, and with a quality level that challenges Bookshelf S on several points, and surpass it on some. Arendal Sound Bookshelf S is an impressively good sounding, lifelike, competent and engaging compact speaker.